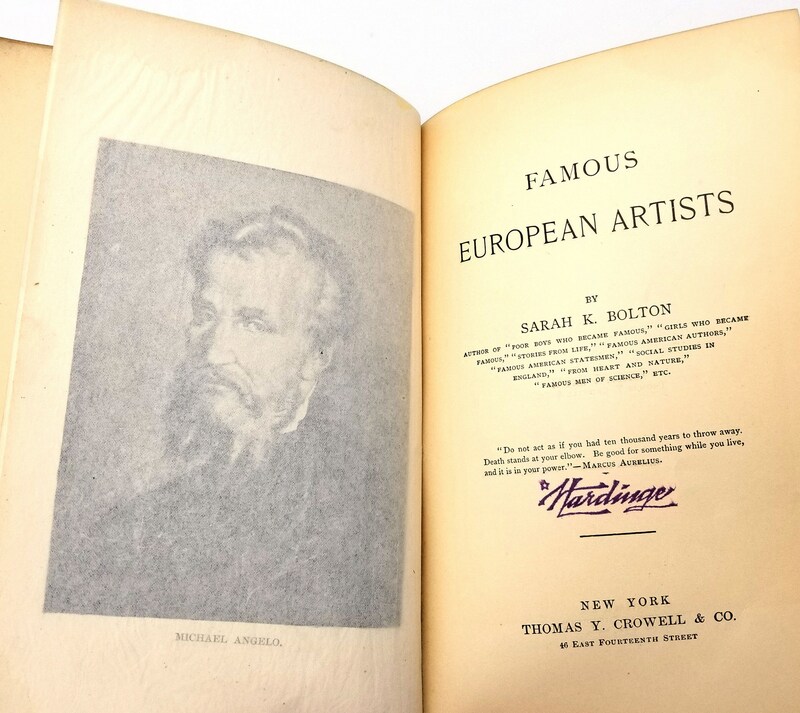 Antique Biography Book: Famous European Artists by Sarah K. Bolton Hardcover HC 1890 Thomas Y. Crowell & Co. 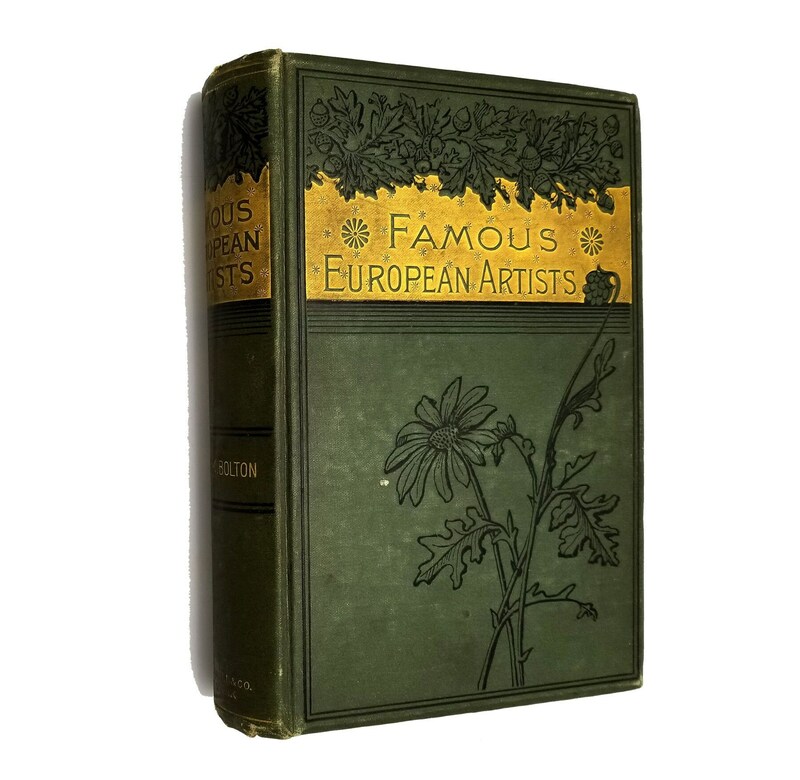 Description: First Edition, 1890. Dark green cloth beveled boards with gilt and an oak leaf, acorn, and daisy design. Boards are a little rubbed and have a bit of edgewear; faint soiling on rear board and spine. Previous owner's name on front pastedown and name on title page. 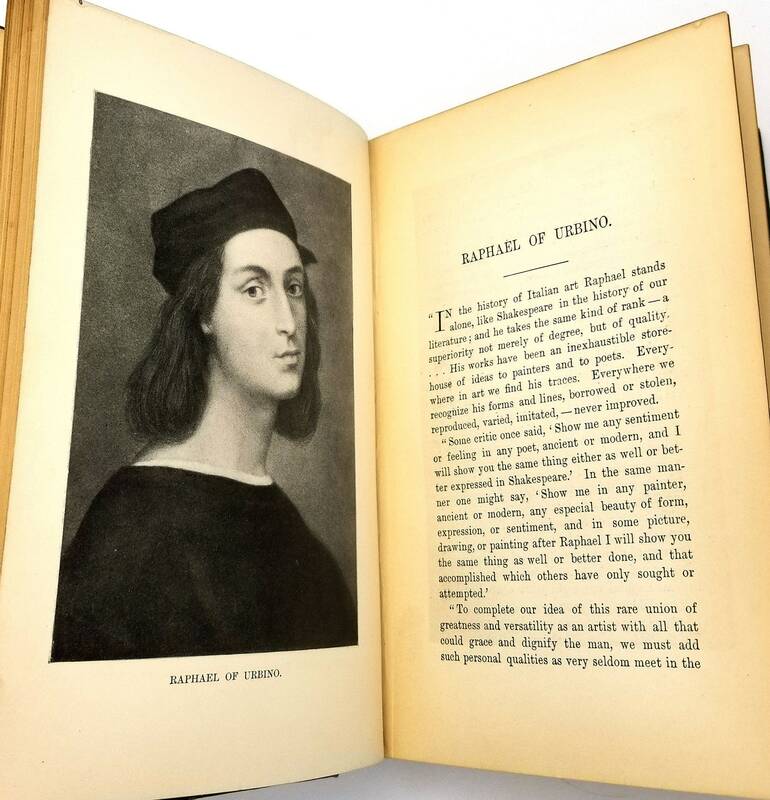 Binding is sound and interior is clean. Includes plates with portraits for each of the featured artists. 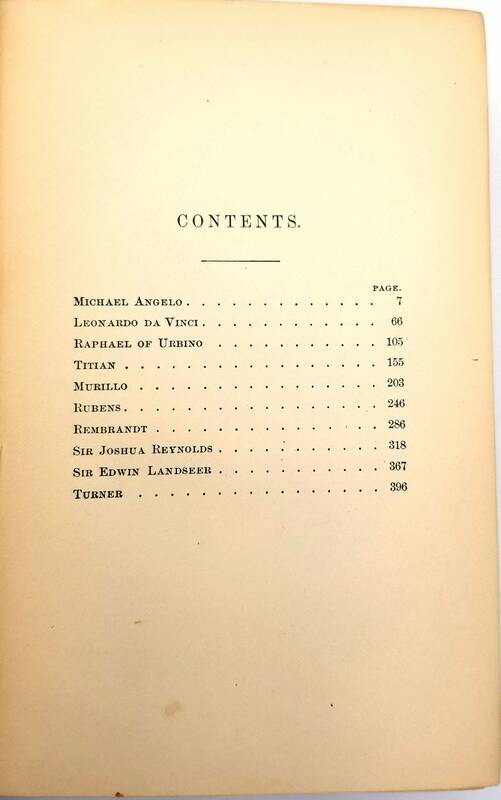 Chapters: Michael Angelo, Leonardo da Vinci, Raphael of Urbino, Titian, Murillo, Rubens, Rembrandt, Sir Joshua Reynolds, Sir Edwin Landseer, and J. M. W. Turner. 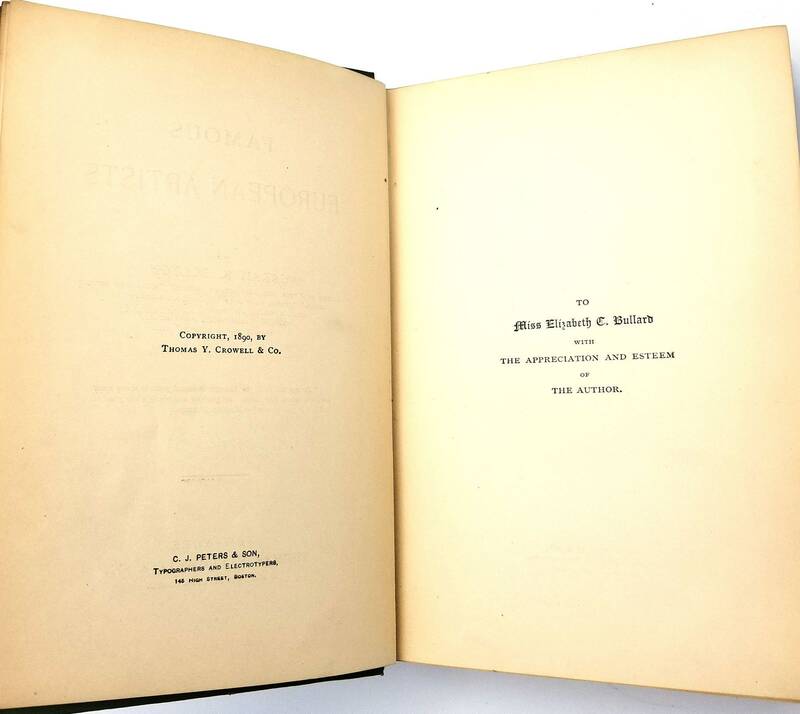 Publisher: Thomas Y. Crowell & Co. Size: 7 x 5 inches.